Eating more folate, found in various green leafy vegetables such as spinach and kale, may reduce migraine frequency, a QUT research team has found. The study gives hope to people with migraine that dietary folate could reduce their symptoms. 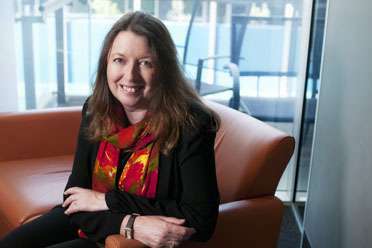 Genomics researcher and QUT's Institute of Health and Biomedical Innovation Executive Director Professor Lyn Griffiths led the research study, published in the American Headache Society publication Headache. Professor Griffiths said folic acid, vitamin B6 and B12 supplements had previously shown a reduction in migraine symptoms, but the new study aimed to determine if dietary folate had an effect. The study involved 141 women suffering migraine with aura and investigated their folate intake in relation to migraine symptoms, she said. "We could observe that folic acid intake, from dietary folate, among the study's women was significantly related to migraine frequency," Professor Griffiths said. "We also showed that a particular MTHFR gene mutation can modify the effect." The study was completed before Australian millers were required to add folic acid to wheat flour for bread-making, known as mandatory folate fortification. The requirement recognised folate, which occurs naturally in foods such as green leafy vegetables, is necessary for healthy growth and development. Professor Griffiths said a long-term follow-up study was needed to investigate the effect of mandatory folate fortification on migraine incidence. "We suggest diet can potentially play an important role in decreasing migraine-associated disability," she said. Migraine is a debilitating and prevalent neurovascular disorder with multiple symptoms. People with migraine with aura are at a higher risk of cardiovascular disease and endothelial dysfunction. Migraine places a financial burden of the country's economy because of workplace absenteeism, as well as causing personal and family impacts.